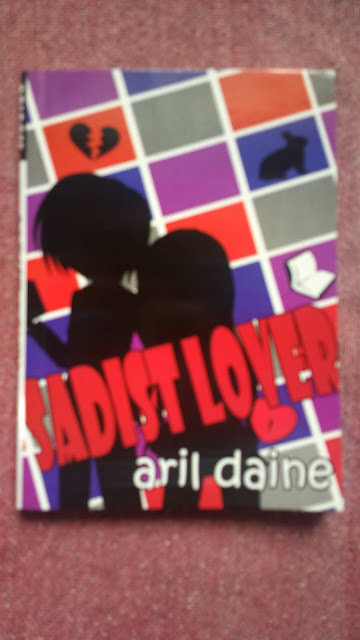 Yes, she’s not really a Sadist Lover, that’s what I conclude after reading Aril Daine’s Wattpad original, now PSICOM published book. Although there were countless reasons why one would agree to calling Miyuki Sharlot Parco, the heroine, a sadist physically and emotionally, there were times when I felt that the characterization was forced in order to make the title more befitting. It was Lance Mariano, the hero, who appeared to be more aptly deserving of the title. But whatever’s the case, the book is a good read although I didn’t get to read it in one sitting like the rest of the other books and I’ve spread reading time to a few days with only a chapter or more each time. Like other Wattpad novels, this book is available in three parts with a second and third book. I’ve flipped through the pages of the sequels online to see where it goes. Despite the introduction of new characters and additional subplots, it of course ends up with Lance and Sharlot. Going back to book 1, the plot revolves around the conflict between a sort of love triangle which included the two names above and Jake, Miyuki’s dream boy bf who eventually became an ex. After Lance and Miyuki were slowly led towards each other’s arms, the story kinda drifted away from the main plot that it almost seemed soapy as it closes towards the end.